Paul Meyers directs clinical research into sarcomas. 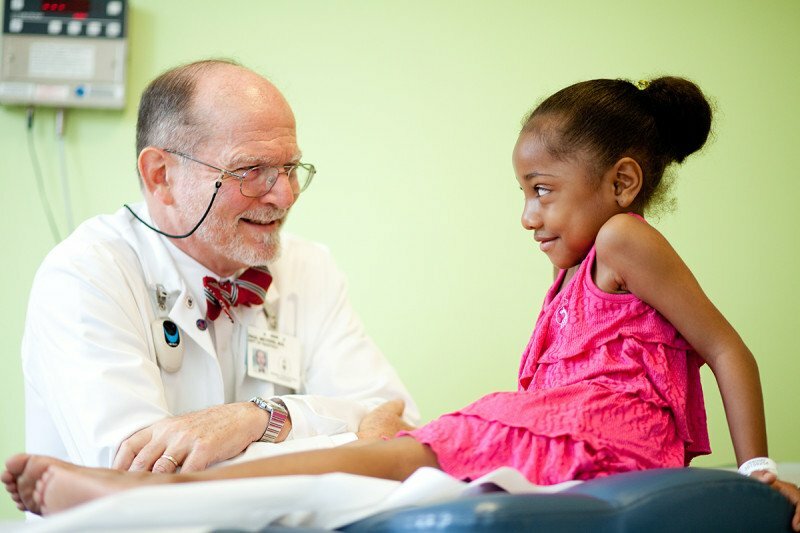 Pictured here with patient Kamirah M.
Pediatric oncologist Paul Meyers gives us a snapshot of where treatment for childhood cancers has been – and the promising directions it’s taking in the future. Fifty years ago, the most common type of childhood cancer, acute lymphoblastic leukemia (ALL), was almost uniformly fatal. Today, cure rates for ALL can reach as high as 90 percent. Much of this success is due to the early and groundbreaking work of Memorial Sloan Kettering physician-scientists. 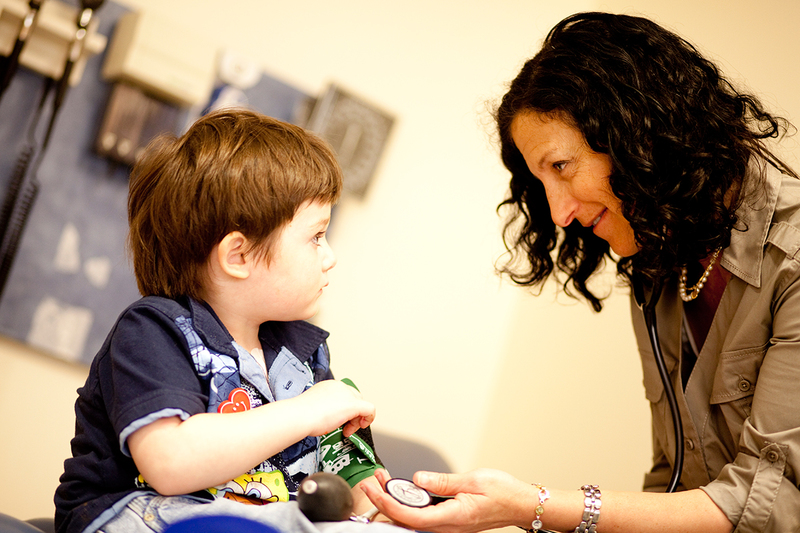 We want to ensure that every child comes out of cancer treatment the same child who went in. We want to return them to physical health, but also to emotional and psychosocial health. And within the last decade, a new drug for the treatment of childhood leukemia, clofarabine, was approved by the US Food and Drug Administration on the strength of work done by Memorial Sloan Kettering pediatric oncologists. 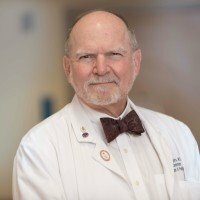 “There came a point in the history of developing treatments for childhood leukemia when people realized they needed to work collaboratively,” Dr. Meyers continues. “And so the Acute Leukemia Group A [ALGA] was founded.” Dr. Murphy was the first chair of the ALGA, which eventually led to what is today the Children’s Oncology Group. “So even the concept of multi-institutional collaborations was born on this very block,” Dr. Meyers says. Important advances have included the first successful transplants using marrow from an unrelated donor; the introductionof T cell depletion as a way to prevent graft-versus-host disease, which is the most frequent serious complication following transplantation; the introduction of hyperfractionated total body irradiation, a method of delivering radiation therapy before a transplant to increase the antileukemia and antitumor effects of radiotherapy while decreasing the short- and long-term side effects of radiation; and the use of immune cells derived from blood to treat viral infections or relapse of disease after a transplant. 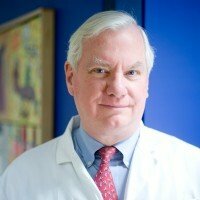 Dr. Meyers, who directs clinical research aimed at developing and evaluating new therapies for sarcomas — cancers that arise in the bone, muscle, or connective tissue — also points to the fact that the first limb-sparing surgery done for a sarcoma of the extremity was performed at Memorial Sloan Kettering. “And the idea of giving chemotherapy before surgery for the treatment of pediatric solid tumors is yet another advance that had its genesis here,” Dr. Meyers says. In addition to using immune cells to attack viral infections that can arise in patients going through transplant, Memorial Sloan Kettering physician-scientists are now using them to attack tumors that arise in response to certain viruses, like Epstein-Barr virus. “We’re also using adoptive immunotherapy as a strategy for targeting cancer cells that produce certain proteins abnormally,” says Dr. Meyers. One of these is WT-1, a protein that is overexpressed in a range of leukemias and other cancers. “We are growing T cells directed against WT-1 in the laboratory to treat patients for whom standard therapy has failed to control their disease,” he explains. Standard treatment for a neuroblastoma (a tumor that arises from primitive cells of the sympathetic nervous system) has been intensive chemotherapy, often combined with stem cell transplantation. But for more than 20 years Memorial Sloan Kettering investigators have used an antibody called 3F8 in combination with surgery and chemotherapy to treat neuroblastoma, and have significantly improved cure rates for children with high-risk disease. “We’re now about to embark on a phase III clinical trial to treat osteosarcoma with 3F8, because osteosarcoma expresses the same antigen that is expressed in neuroblastoma,” Dr. Meyers reports. Memorial Sloan Kettering physician-scientists are also studying the use of newer antibody-based therapies to fight neuroblastoma and other cancers, including a rare tumor that arises in the abdomen called desmoplastic small round-cell tumor. 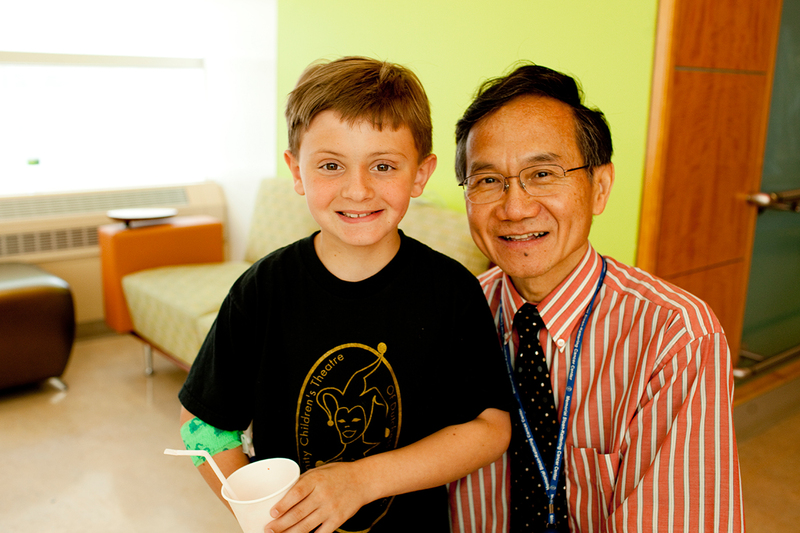 “I think most of us feel that chemotherapy has probably reached the limits of its ability to impact childhood cancers and that future advances are going to come from immune- and gene-based therapies,” he concludes. “When you’re treating a child, you have to consider the consequences of that treatment for decades to come,” Dr. Meyers explains. “If we succeed in curing the cancer, you’re looking at 50, 60, 70 more years of life.” Because children have not yet physically, sexually, or intellectually matured, anything physicians do that may interfere with these processes can have long-term effects. treatment protocols. True or not??? Dear Barbara, we’re glad to hear your son is doing well. MSK is a long-standing participant in COG and has both COG and MSK investigator-initiated trials. Thank you for your comment, and best wishes to you and your family.